My favourite hobby is audio. Guess what I did for my holidays this year? I went to an audio event where good friends were working. We are all busy people and we happen to share the same hobby. 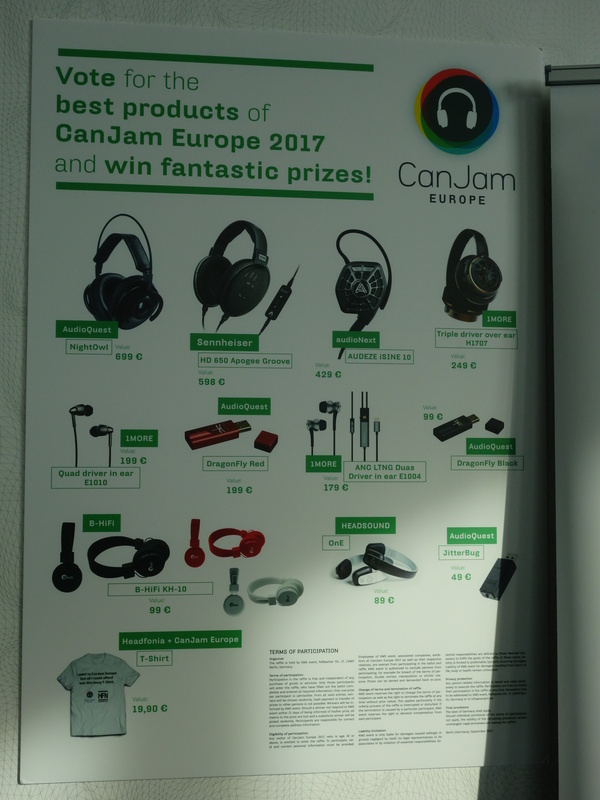 CanJam Europe 2017 was the event where everybody would be. So instead of chasing the sun, skiing down slopes or partying like it was 1999 I spent two days talking about audio and in particular music. There was not enough time to explore Berlin properly but there is always next time. Also, yes I am a nerd. Proud to be one. This kind event is fun when you like trying out all kinds of audio gear and learning about different audio systems and solutions. Of course some of the audio gear you encounter is expensive. Well to find out why it is expensive and whether it is worth it big audio events like these are great. That was the first day of CanJam Europe.